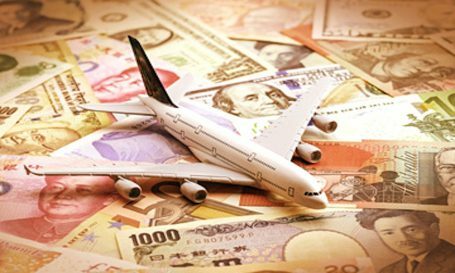 Online travel agency Kiwi.com has released an up-to-date Flight Price Index highlighting many changes travellers could face this year. The airline ticket prices use some of the most complex pricing algorithms and yield management systems in the world. We’ve all heard the so-called secrets to finding a cheap flight; search on a Tuesday, fly out on a Wednesday, and use a private browser. However, hundreds of additional factors, including oil prices, political turmoil, airline competition and even the weather can have a huge impact on the cost of the ticket. Kiwi.com aims at providing its customers the most affordable flights. The 2017 Flight Price Index was developed in order to detail the countries which offer the best value flights, and help customers make affordable travel plans. Within the research, Kiwi experts analysed short-haul and long-haul flights from 80 of the world’s most frequently visited countries and cities, calculating an average ticket cost per 100km of travel, using high and low season flight costs for over a million journeys. The research includes a clear split between low cost and full service airlines to arrive at a conclusive country to country price index. All currency conversions are correct as of April 25, 2017. The Czech Republic ranks 31st, with an average flight cost of 283,75 CZK per 100km of travel, factoring both short haul and long haul journeys. This compares with the most affordable country, Malaysia, averaging a flight cost of 103,03 CZK per 100km of travel. At the other end of ranking, Belgium calculated at cost over 13 times higher, at 1 347,22 CZK per 100km of travel. The Czech Republic placed in position 25 in 2016´s ranking. The complete Kiwi.com Flight Price Index 2017 is available here: https://www.kiwi.com/stories/index-cen-letecke-dopravy-2017/czk/ for CZ. Lithuania offers the most affordable international flight on full service airlines, at 61,71 CZK per 100 km. Rankings were calculated by analysing the costs of over one million flights to find an average price of short-haul and long-haul flights. Averages for low-cost and legacy airlines appear in separate columns as there is a clear distinction in terms of service and product. In some cases, less frequently travelled flight paths were only served by one airline and therefore the low-cost and legacy columns show the same figure. The two categories were combined for the final country-to-country Index total. Short-haul or domestic flights were calculated by finding an average of flight costs from the country’s capital to up to five major cities within the country, where available, or a major city in a neighbouring country which is no more than 1000 kilometres away. Most flights in this category were under 600 km in distance. However, in large countries like Russia and Brazil, where there are greater distances between the two largest cities, this figure ranged between 900 and 1100km. International or long-haul costs were calculated using journeys from all the international airports in each country to up to five international hubs. All flights were checked for the same dates of travel (or neighbouring dates where necessary) on- and off-season, and take into account the same destinations and travel scheduling. Currency conversions are correct as of April 25, 2017.